My friend became a fast food cook. Before long he knew how to make all of the “Mc” products like McMuffin’s, Big Mac’s, and fries. One weekend we were hanging out together and I suggested we head to McDonald’s for lunch. He looked at me and said “no way man, I know way too much about what that stuff is made of and how it’s prepared”. The view from the McDonald’s kitchen is a different perspective from that of the diner. That’s a good way to describe the way I view financial products compared to the way most consumers see them. I know way too much. One Big Mac every once in awhile probably won’t kill you, but as demonstrated in the documentary “Supersize Me“, a steady diet of fast food can destroy your body fairly quickly. A number 2 with fries looks like food, is consistently edible, and fills you up for a very low price. But let’s be real; with a little bit of pre-planning, thought and preparation, we can pick up some fresh ingredients at the store for not much more money and have a very satisfying meal that feeds your body the nutrients it needs. The same is true in the financial services industry. 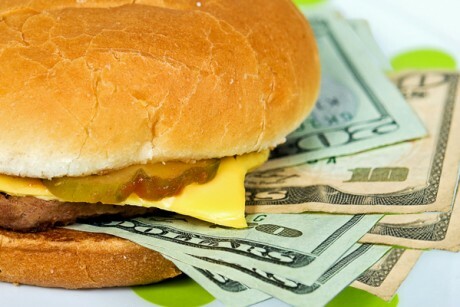 Big banks and insurance companies create financial products in their “kitchens” that are designed to look palatable. The problem is they maximize profit for the bank but do not necessarily achieve long term success for their clients. If you own stock in these companies that’s exactly what you want them to do, but you may want to be wary when buying their products and services. In a highly Capitalistic society like ours, it is best to understand the profit motive and change the way we purchase certain things. Hiring an independent fiduciary Investment Adviser is one way to protect yourself. In a way, you are hiring someone who knows their way around the kitchen but has a legal duty and motive to act in your best interests. With a little bit of pre-planning, thought and preparation, you and your independent Financial Adviser can whip up something that is much better for you than what the big banks and insurance companies want you to buy.